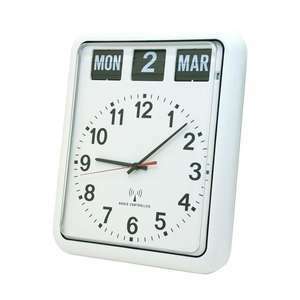 The Large Radio Controlled Digital Day Clock is a wall-mountable clock that shows the day + period of day, and/or full calendar information. 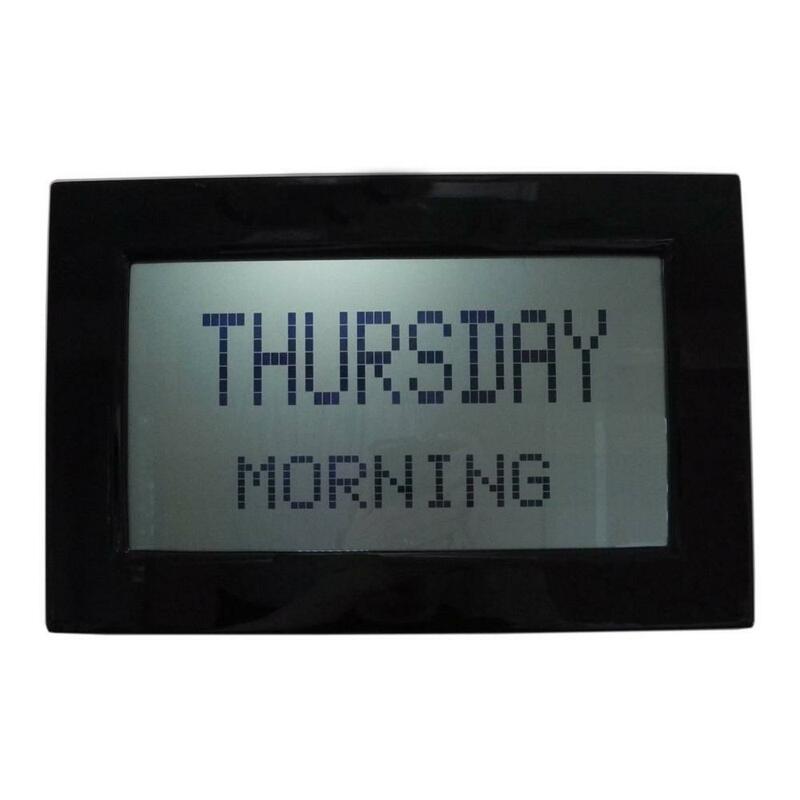 The features of the Large Radio Controlled Digital Day Clock make it ideal for care homes, hospitals, waiting rooms, or any other communal area. 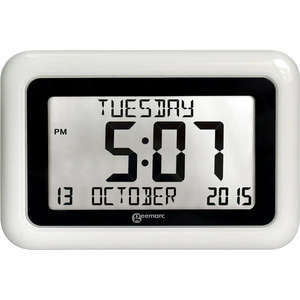 This mode alternates between display mode 1 & display mode 2, at intervals of 15 seconds. 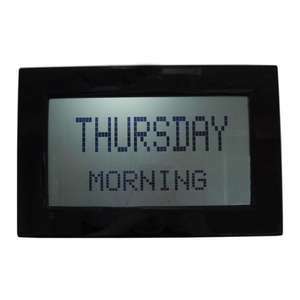 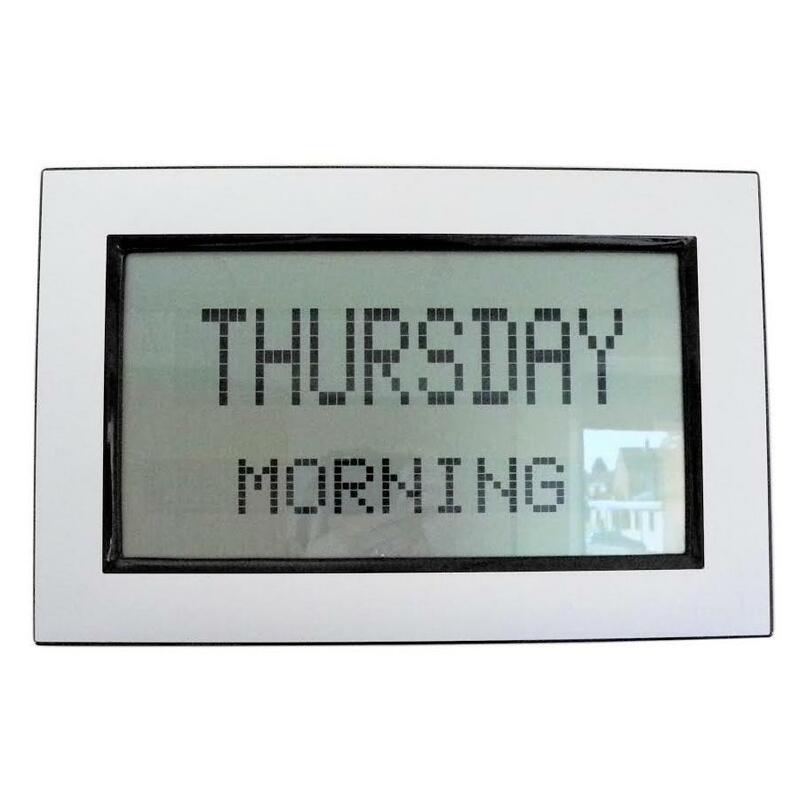 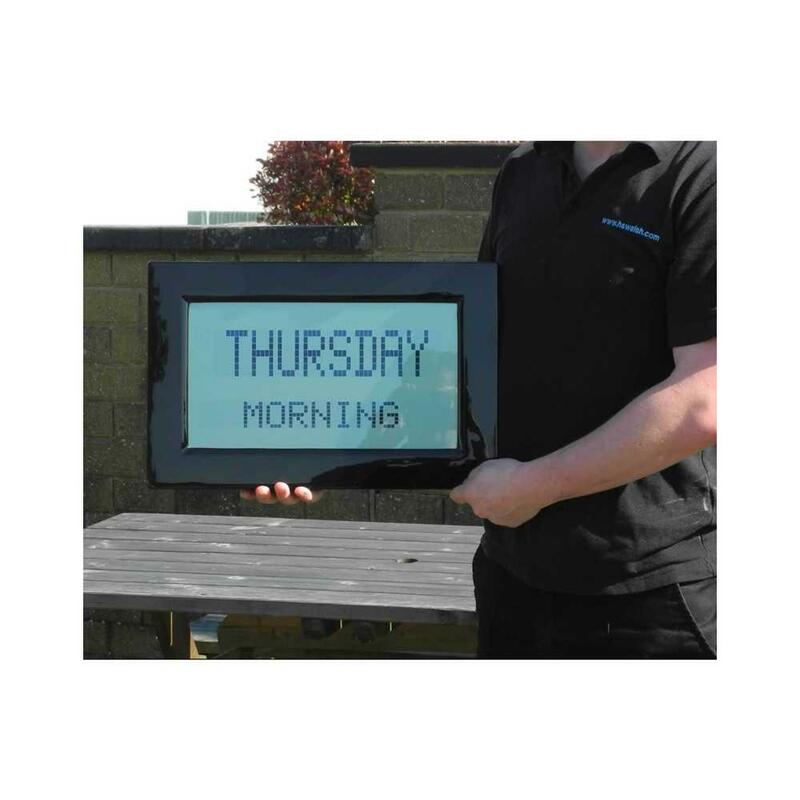 The unique alternating display can be useful in care homes, hospitals, or any other area that's shared by both carers, and individuals with memory impairment. 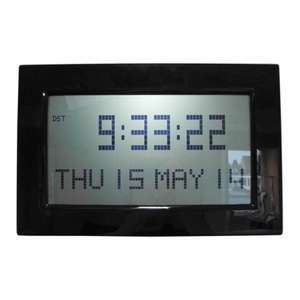 If the Large Radio Controlled Digital Day Clock has radio signal, it will never require manually adjusting for irregular months, leap years, or daylight savings. 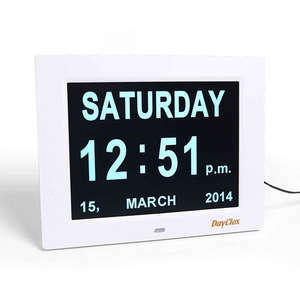 This is due to its combination of a completely automatic calendar, and radio controlled time accuracy, a unique mix in our digital clock range.